Coffee in the Consumer Market Outlook includes both Roast Coffee as well as Instant Coffee. The worldwide revenue of US$101 billion in 2018 is expected to increase to US$136 billion by 2023. Country ranking, including United States, Germany, United Kingdom, China etc. The complete Market Report with all insights regarding the entire Hot Drinks market can be found here. 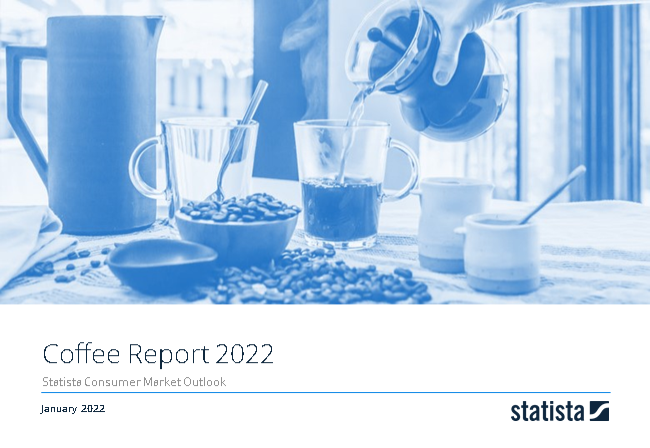 This report from the series of Consumer Market Outlook segment reports gives an overview of the coffee market from an international perspective. You can find further information on the topic on Consumer Market Outlook/Coffee.